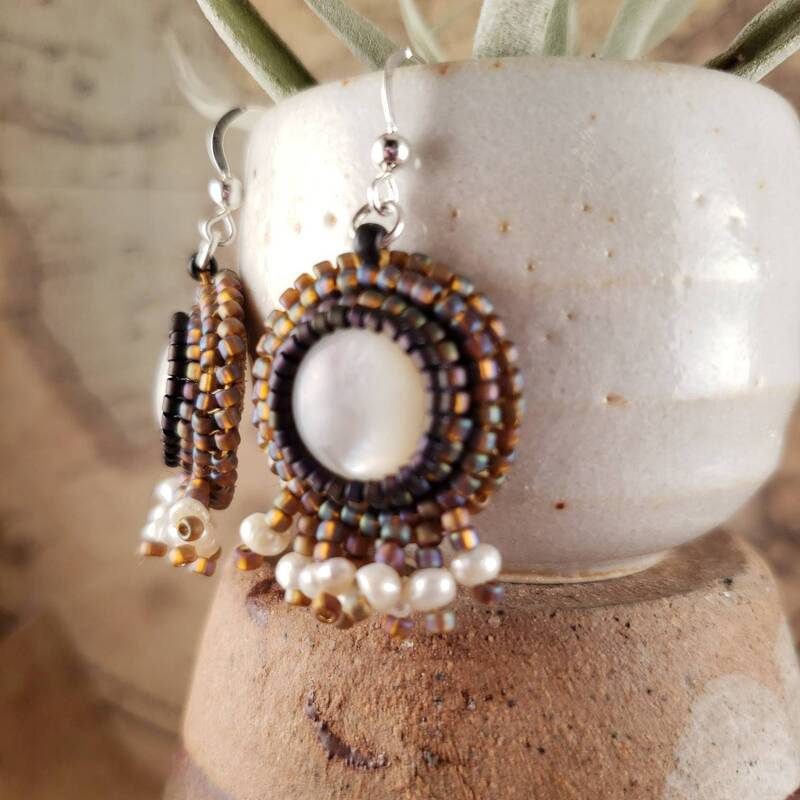 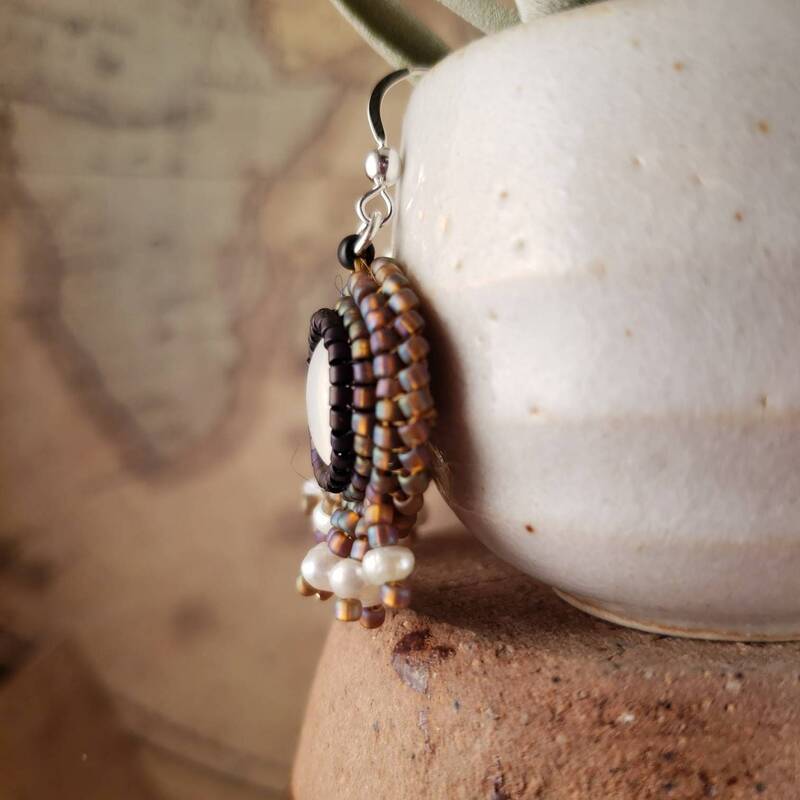 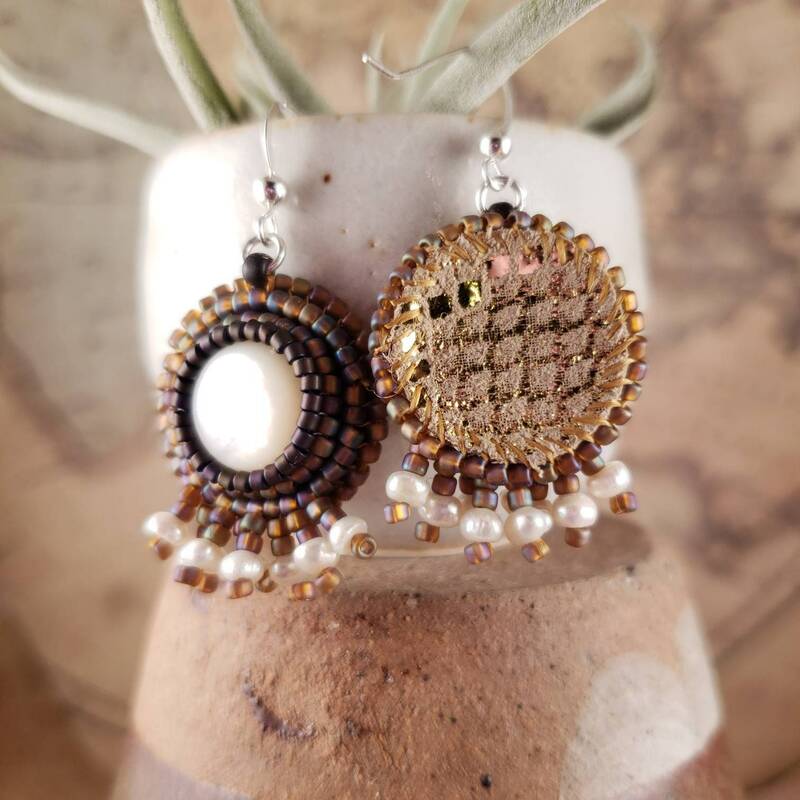 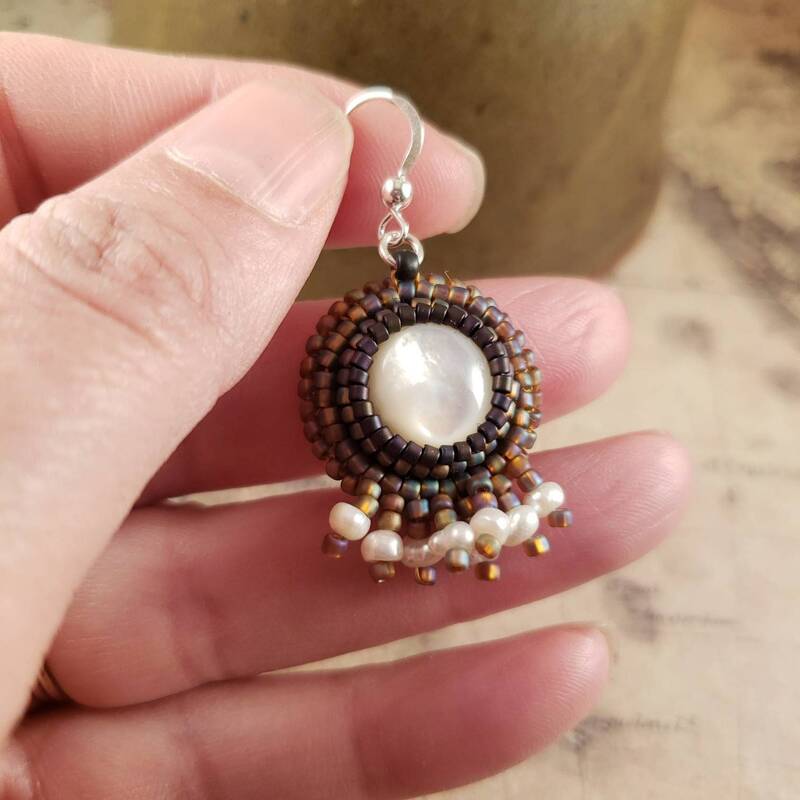 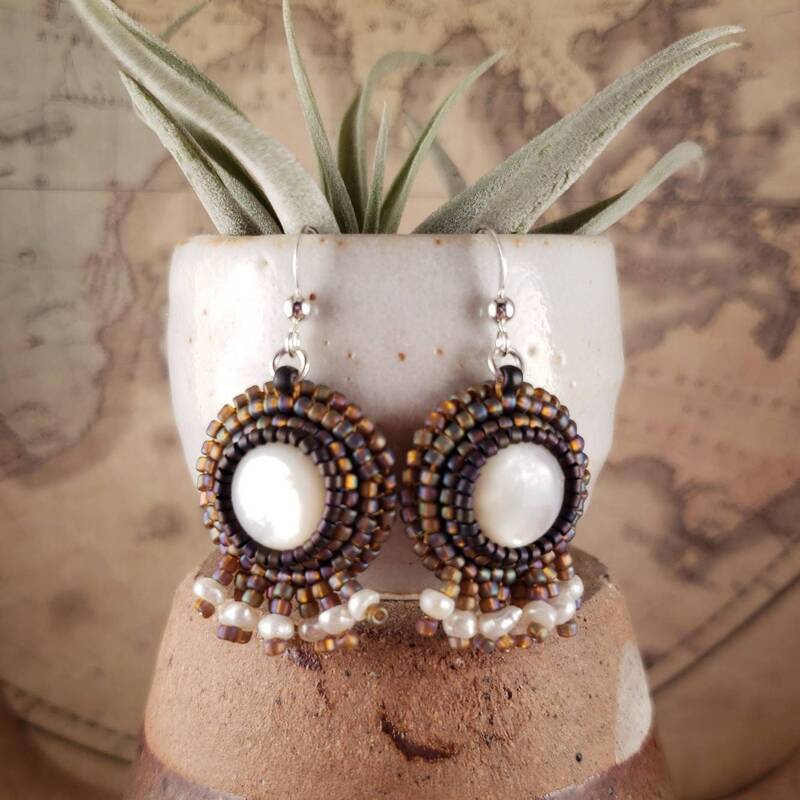 Beautiful mother of pearl and fresh water pearl earrings. 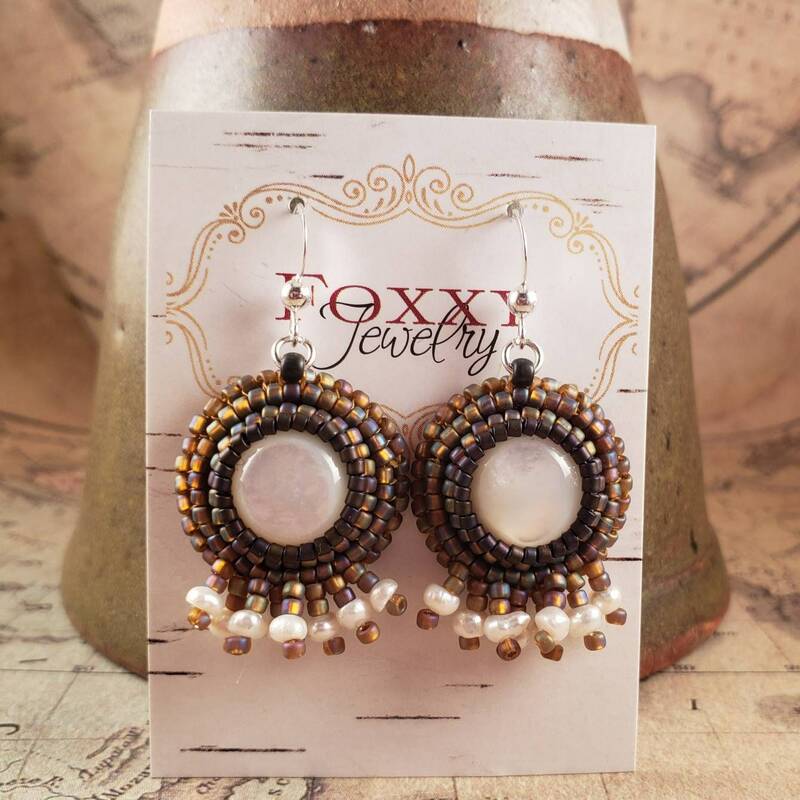 These shell earrings have a warm natural glow that that gives a deep iridescent pooling effect in the center. 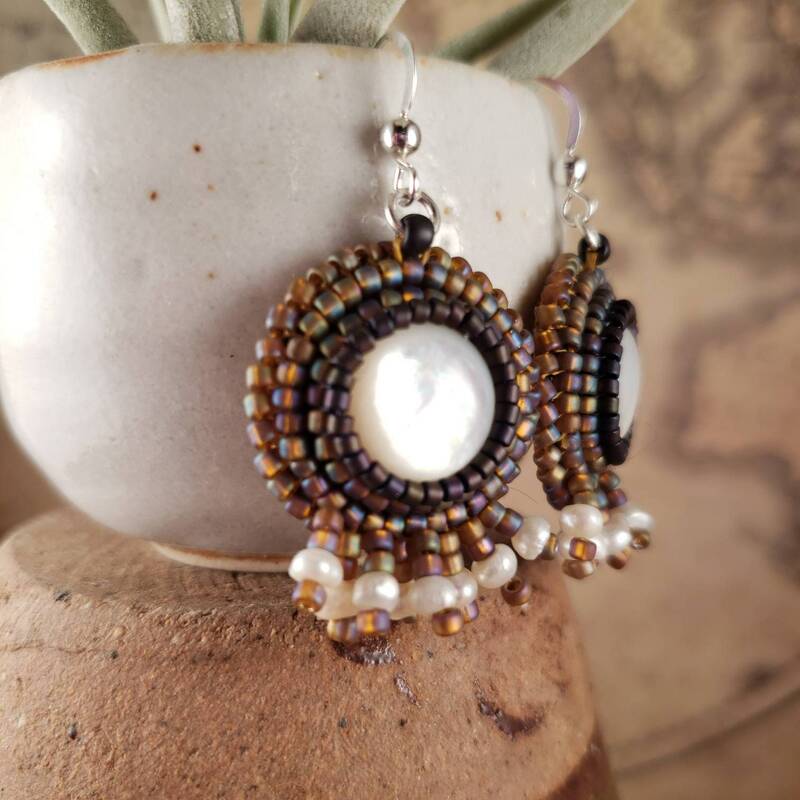 Very light weight, perfect for spring and summer.